AlphaStar Winter Physics Camp consists of accelerated coverage of topics and special problem solving techniques. There will be only one level that focuses on preparation for the F=ma test with intensive training. F=ma exam is a multiple choice test which is administered in January. Please check American Association of Physics Teachers (AAPT) Website for more information on F=ma test and USAPhO. 11th grade standing in school. 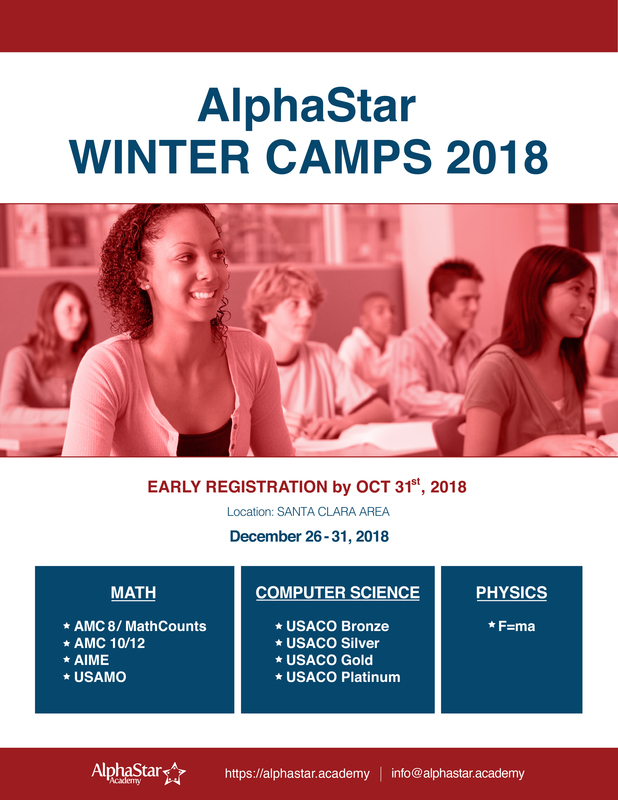 Please see the AlphaStar Physics Program page for more details. Lectures are given by AlphaStar faculty and other instructors who have participation and/or training experience in national/international olympiads such as United States National Physics Olympiad (USAPhO) and International Physics Olympiad (IPhO).